Want to Be Fabulous? Want to be Fabulous and Tactical? 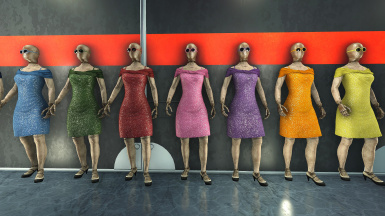 Well this is the mod for you feature over 20 new color options for the Sequin Dress. 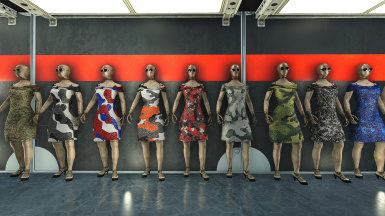 Includes 9 Camo options! 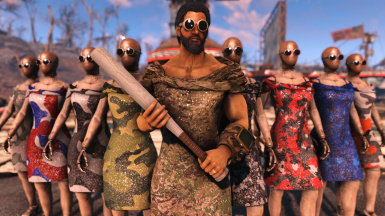 becuase why not be Fabulous and tactical at the same time! 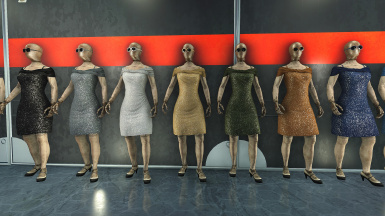 Also comes with matching skins for the Fashionable Glasses and also works with the "Red Dress". 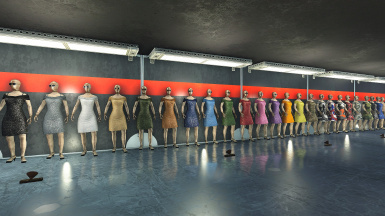 All can be crafted at the Armor Workbench thank to the Color Swap framework added by AWKCR!